Hong Kong is home to exciting new architecture. From Central’s shiny skyscrapers to Kowloon’s sprawling housing blocks, this guide will help you discover and explore it. What always impressed me about Hong Kong is its density. We hear and read about it all the time, but it is different when you are standing in the middle of Central surrounded by needle-like skyscrapers all around and hundreds of people coming and going around you. Mix this density with its topography, and you have a powerful combination that turns it into a very unique city. Look south towards Victoria Peak, and the skyscrapers seem to be getting taller and taller as they go up the mountain. The city seats on a natural amphitheater overlooking the bay. The bay splits Hong Kong into two parts and offers a quick and easy way to escape the density. 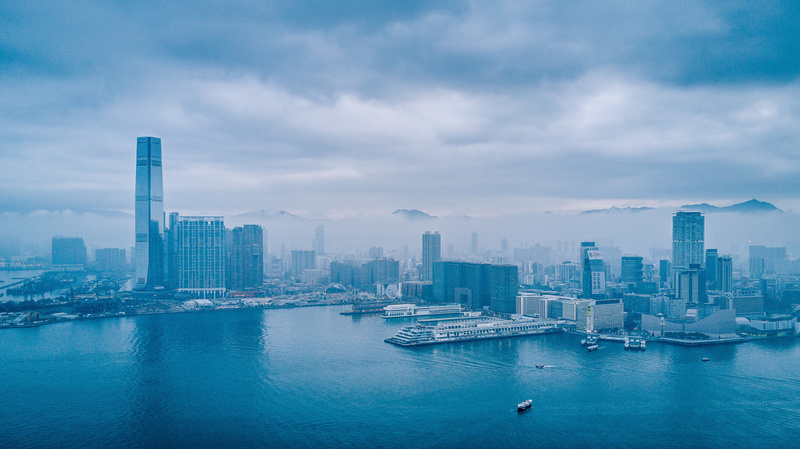 As you walk a few blocks north from what seems an inescapable city fabric you reach the expanse of the bay which offers unobstructed views to Kowloon laying across it. Behind you, the tall skyscrapers and the Victoria Peak stand often veiled in low hanging clouds. From Kowloon, you can better appreciate this beautiful skyline. The buildings across the Bay on Hong Kong Island stand bundled together as a skyscraper bouquet. Several architectural icons are easily recognizable among a series of buildings: Foster’s HSBC Tower, Pelli’s IFC Two, I.M. Pei’s Bank of China. These are only a few of the many architectural sights in the city. 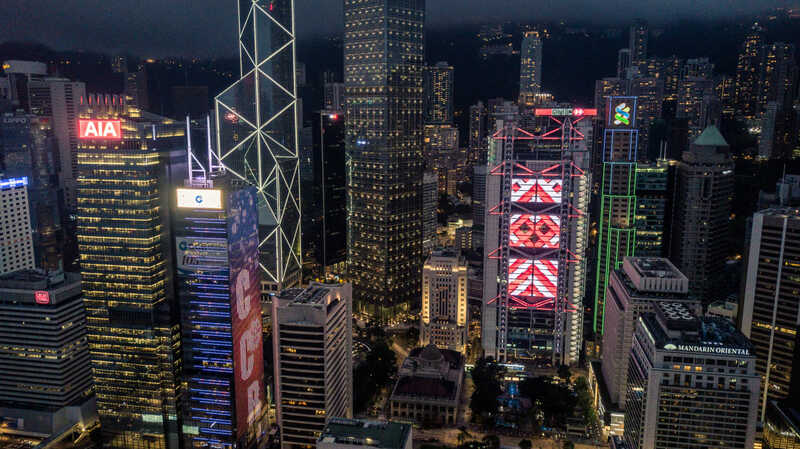 Kowloon and the New Territories are currently Hong Kong's largest architecture playground, with new buildings and daring urban development plans such as the New Central Business District in Kowloon East, or the Kowloon West Cultural District. Hong Kong Island is the postcard of Hong Kong. Its small footprint led to development both dense and tall. 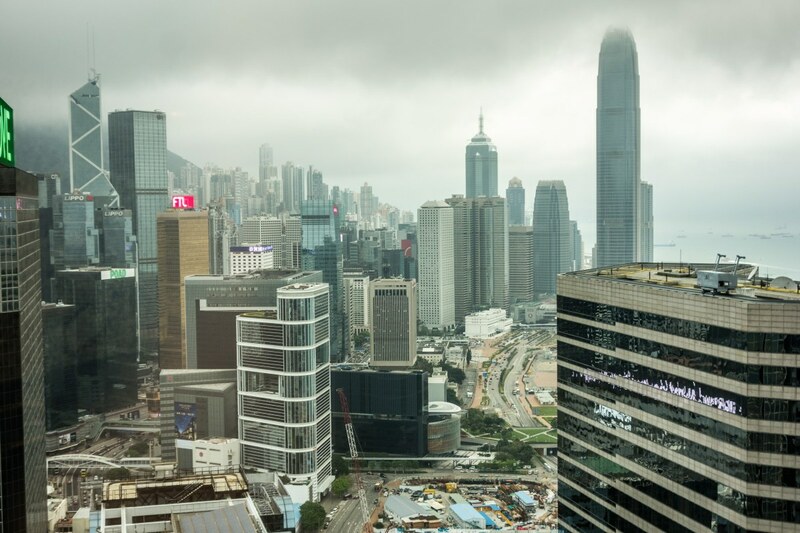 While Sheung Wang, Central and Wan Chai hold most of Hong Kong’s architectural icons and offer close to zero spaces for new developments, the east side of the island is witnessing a lot of changes with new infrastructure projects and buildings. While in Hong Kong I watched the recently released movie Ghost In The Shell. Even though the film’s quality is up for discussion, what it does best is portray a fantastic future, most of it based in Hong Kong. Inspired by it, I went to visit some locations where some scenes were filmed, and three of them were incredible. Being a city of so many skyscrapers, it seems off that it only has one official observation deck located in Kowloon on top of its tallest building, the ICC. After some research, I learned that some buildings in Hong Kong Island offer specific floors which you can access to have free and easy sweeping views of the city. I’ll show you three of them. Wikitravel Hong Kong Wikitravel is always a great source for updated and interesting information about any destination. Hong Kong's page offers a great introduction to its history and culture and offers several great tips, from accommodation to things to do in town. Hong Kong Food Guide: 25 Must-Eat Dishes & Where You Can Try Them Marks tips are always on the spot. My favorite in the list was the beef brisket curry, followed close by the roasted goose and all the french toasts. Eater - Hong Kong Eater's Hong Kong page is full of delicious up-to-date information about the food scene in the city. CityMapper Hong Kong My number one app to get public transportation information in many cities. Great interface, great tools, great integration with smart watches... There is just no reason to use anything else if I want to go from A to B by public transport. You can use it online or by downloading the app, which I strongly recommend. Octopus Card The first thing you should do when you get to Hong Kong is get an Octopus Card and put some money in it. It is not only essential to circulate thought the city's public transportation but it can also be used in many shops and restaurant as payment. Very convenient. Go check the first part: Kowloon Peninsula and the New Territories.